Preparing for a new assignment I searched for some ideas and came up with a diagram for an electric vehicle (EV). The original diagram is from a German text book on aerodynamics. 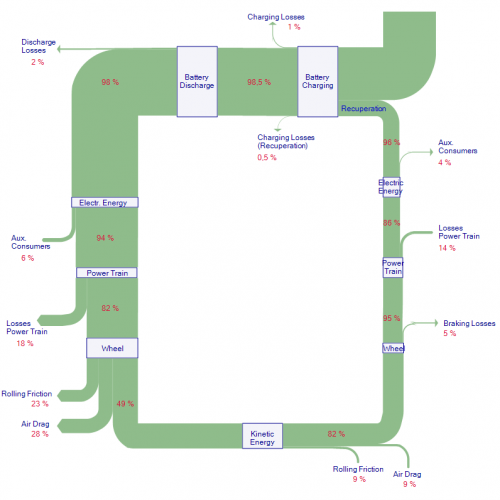 The Sankey diagram can be read counterclockwise starting at the top, where the vehicle battery is loaded. At every process step there are losses, the largest being rolling resistance and aerodynmic drag. When the driver brakes, energy is recuperated and fed back to the battery. It took me some time to get this done, since the actual flow values were not explicitly given. 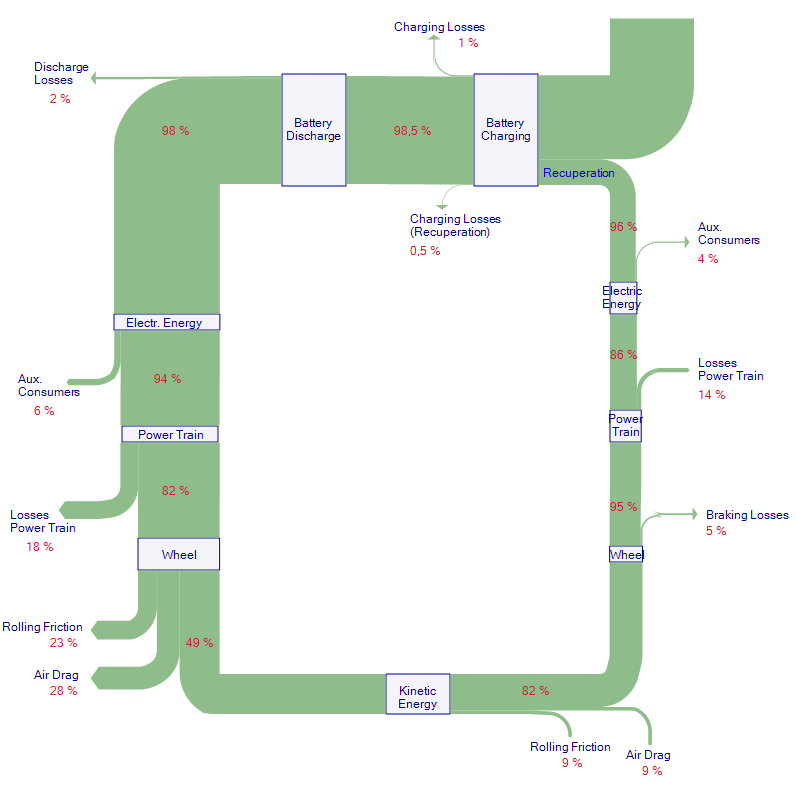 Instead the energy efficiency and losses at each step are indicated as percentage values. Getting out my pocket calculator helped determine the values needed to setup the Sankey arrows.